Transformation of the Day: Jocerlyn lost 70 pounds. A photo from a family function served as her wakeup call. She benefited from having an onsite gym at work and having supportive, fitness-minded friends. 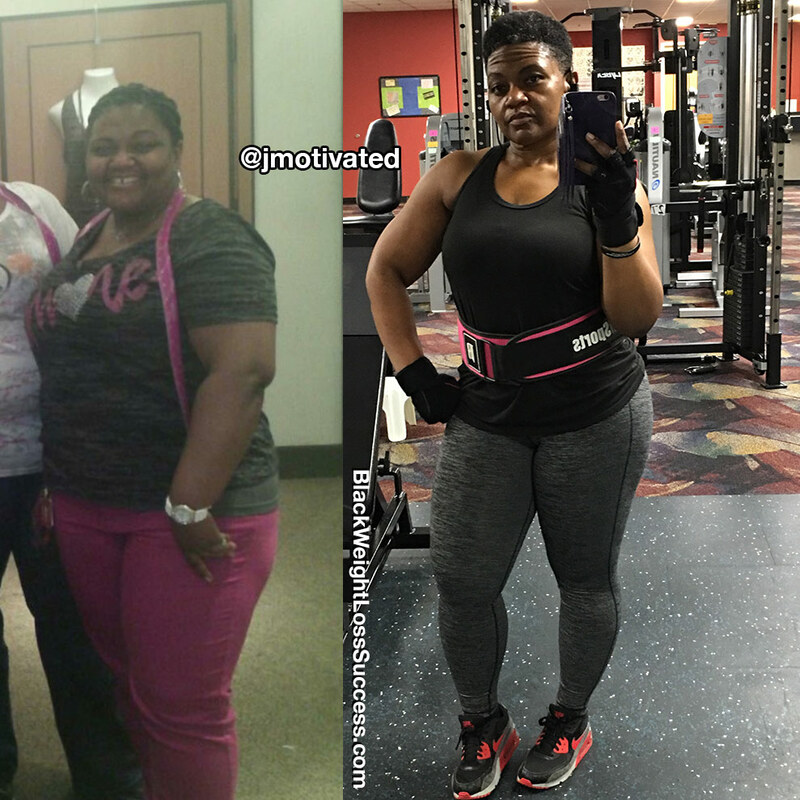 At 41 years old, she is more active than she was in high school and she has become a group fitness instructor. Check out how she took action. I have struggled with my weight for the majority of my life. I have tried the quick fixes, the weight loss centers… you name it, and I tried it. In November 2012, I attended a family function, and I was captured on film. When I received a copy of that picture, I was forced to take an inventory of my life. That picture changed everything. I started my fitness journey the next day, and I haven’t turned back. My heaviest (recorded) weight was 253 pounds. I now weigh 183 pounds. I am 5’2″, and every BMI chart will tell you that I am unhealthy, but this is the healthiest I’ve ever been. I am more active at 41 than I was in high school! My journey continues, not because I haven’t reached society’s ideal, but because I’m working toward MY final goal! How did you change your eating and exercise habits? I have gotten this far by exercising 5-6 days per week and eating a clean, low carb diet. My employer has an onsite gym, so it is easily accessible. I work out 2-3 times per day. The gym offers different types of classes, so I have been able to take Zumba, Yoga, HIIT and Kickboxing classes. The changing of routines keeps the body from getting used to a specific exercise and stalling. In the past, I was addicted to orange soda, candy, and french fries. I cut those things out of my diet in the beginning. They are now eaten when I want to treat myself. My advice to anyone beginning their journey is to first, stay reminded that they are worth every bit of effort/commitment that it takes to achieve the goals they’ve set. Second, know that the journey is all about them, not the next person! Finally, find some “Fit Friends.” My girls, @Shaunb_fitness and @moe_fit_4_life, have played and continue to play a pivotal role in my journey! We push each other to be better and go further! Since beginning my lifestyle change, I have become a Certified Group Fitness Instructor and a Licensed Zumba Instructor. I LOVE what I do! This is now a way of life for me. It’s my passion! I want to help others to achieve their wellness goals! There is no stopping me now! I’ll be adding more accomplishments to this list! Awesome!You are such an inspiration. Proud of you home girl. I’m right behind you.